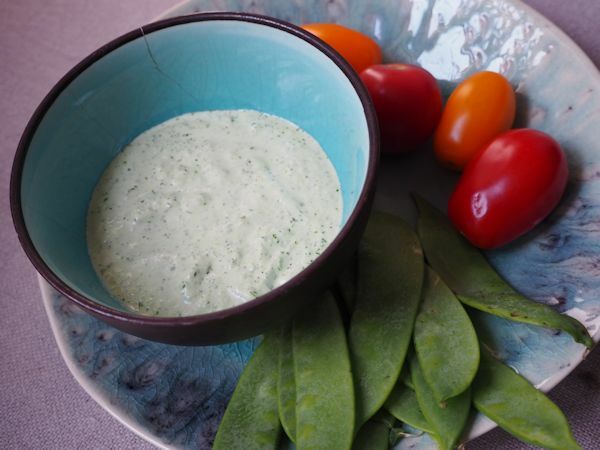 Glass of Fancy » Blog Archive » Creamy Jalapeno Dip - Fashion, fiction, and life in the city. This entry was posted on Friday, July 10th, 2015 at 4:21 pm	and is filed under Manna. You can follow any responses to this entry through the RSS 2.0 feed. You can leave a response, or trackback from your own site. One of these days I am going to need to work out the perfect chile relleno recipe; that’s the other thing I get cravings for between visits. I like that this uses both canned (tangy) and fresh chiles. Yum! I like the fresh greenness that the jalapenos give it, but I do think that the canned chiles give it a little more body. Or possibly I’m just chile-obsessed. Hard to say. I think Tex-Mex is about the best cuisine you can find in Texas. It may not be Mexican, but it’s GOOD!! This looks nice and spicy.